It may be fall, but everything is coming up flowers. 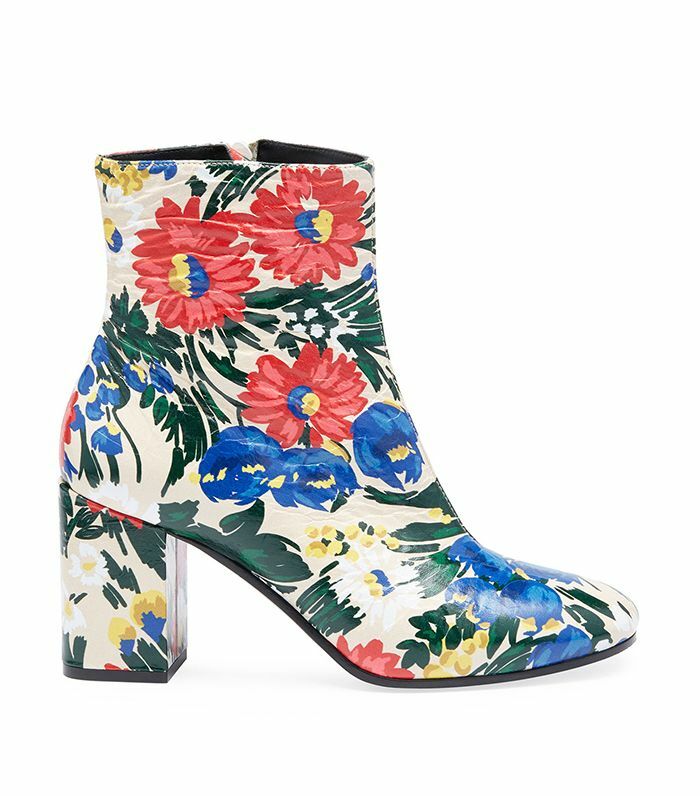 While floral boots may not be your typical fare this time of year, the trend (likely spurred on by Balenciaga's eponymous sock boots above) has swept the fashion world, and brands at every price point are tackling floral footwear in their own way. From painterly prints to brocade, there are some boots out there for every signature style. Intimidated by bold shoes? Don't be. In fact, our favorite way to wear these trendy boots is by mixing them with other contrasting prints. If you keep to one color palette, the result is statement-making without feeling too over-the-top. If subtle is more your style, try wearing them with jeans and a tee. Want to know what our favorite floral boots are at the moment? Below, we're highlighting 19 pairs of floral boots we love. Put a little spring in your step and shop them now! These painterly boots are oh so pretty. The perfect mix of edgy and flirty. Now, these make a statement. A subtle take on the floral trend. FYI, the sock boots are a major trend for fall. These boots will go with just about everything you own. Wear these for your next night out. Florals with a retro spin. Wear these boots loud and proud. Meet your new favorite over-the-knee boots. Florals with a rugged twist. These boots are just so pretty. Kitten heels are all the rage for fall. Like Grandma's couch, but cool. These boots are oh so soft to the touch. These simple boots are an easy choice. Edgy and delicate all at once. Brocade is a cool way to test the trend. Want more boot ideas? See how to wear them with jeans right now.